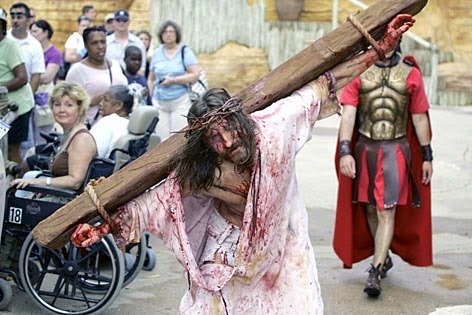 The Bible comes to life at the Orlando theme park Holy Land Experience. Because why get a picture with Mickey when you can get one with Jesus? This isn’t really my kind of place – not because of my religious views, but because there are no coasters. It’s a shame, because there are so many great names for rides for a place like this: Heretic’s Fall; Red Sea Flume; Wrath of God. The possibilities are endless. Instead, there are shows and exhibits. You’ll get to experience Jerusalem circa 66 AD, and dine on Middle Eastern fare at the concession stand. The misting stations are a bit anachronistic, but perhaps after a few hours of baking under the Florida sun, they can also be seen as minor miracles. I'm not sure I like the concept of eating in pitch-black darkness, like at the flagship "dark restaurant," Blindekuh, in Zurich, Switzerland. 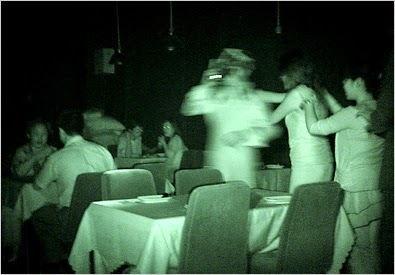 The entire dining room is without a hint of light, and the restaurant is staffed by blind servers who are able to zip efficiently around the patrons hesitantly stumbling to their seats. Maybe I have trust issues--How do I know there's really a steak on my plate and not a stick of dynamite?--or maybe I just don't like repeatedly stabbing myself in the face with a fork full of salad. But even I've gotta admit, the concept is cool. Eating in the dark undoubtedly heightens your sense of taste. I also like that I can go through an entire meal with spinach in my teeth, and my dining companion would be none the wiser. Now here's a real game changer. You know how when you see a rat, your instinct is to grab your hair, scream, and run in the opposite direction? 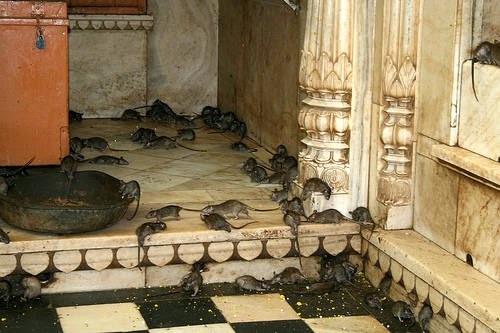 Well, at Karni Mata temple in Deshnoke, India, which is inhabited by approximately 20,000 rats, your goal is to get one of the little critters to scamper over your feet for good luck. These rats ain't vermin - they're reincarnated locals. So put the glue traps away and show some respect. Plates of milk and sweets are left out to attract the mice to visitors. I'm a big-time animal lover, but I'm not sure I'd be able to handle this place. My cat, on the other hand, probably dreams about visiting Karni Mata the way I do the Taj Mahal. Let's face it: Art is too easy to access nowadays. You just pay a fee at the museum entrance and in you go. Well, here's an artist who decided to make you work a little to view his pieces. 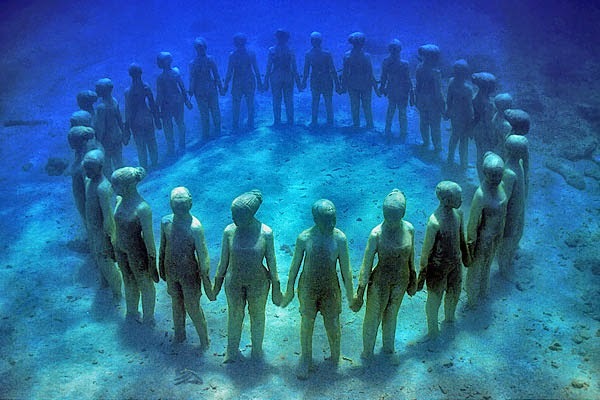 Jason de Caires Taylor created an underwater sculpture park in the Moliniere Bay off the coast of Grenada. The pieces sit in the bay and can only be accessed by divers, or viewed from above by snorkelers and glass-bottom boat riders. The statues and other sculpted pieces are eerily beautiful, like perfectly preserved beings from a shipwreck. There's a circle of children, a man at his desk, and other timeless favorites. But you'd better hurry if you want to go; the water sets the mood and provides interesting light, but it's also slowly destroying each piece. I want to go because I can't remember the last time I took in an art installation in a swimsuit. 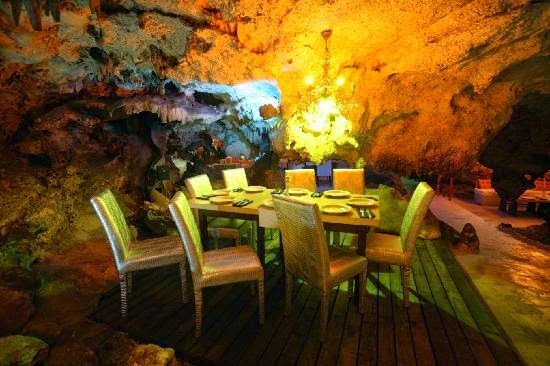 Why dine in a well-lit, aboveground establishment when you could dine in a cave? I mean, Per Se may be the epitome of fine dining, but does it have STALAGMITES? I know. When I put it that way, you'd look like a fool NOT to be making a reservation right now for El Alux in Playa del Carmen, Mexico. So where would you say this place is? England? Scotland? Try UPSTATE NEW YORK. 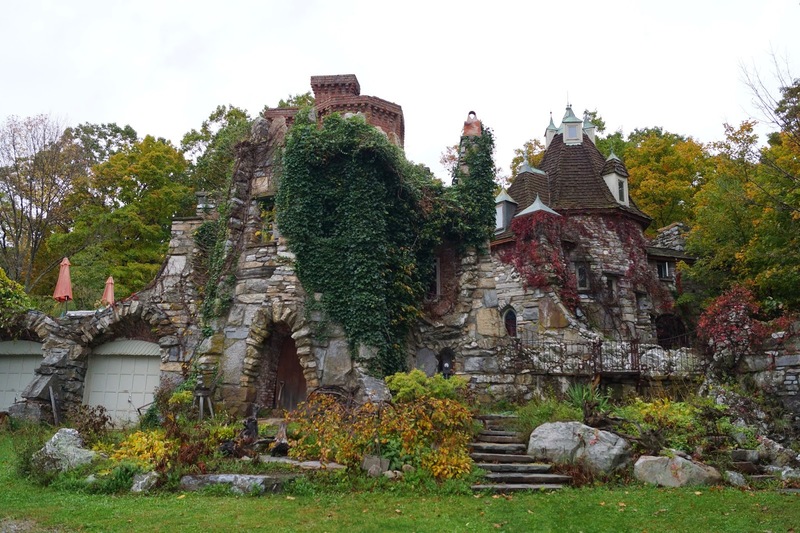 The owners of a property in Millbrook decided a couple of decades ago that they would build themselves a castle to live in, complete with a moat that doubles as a swimming pool. They call it Wing's Castle. Mr. Wing built the entire castle by himself, and continues to add to it today, while Mrs. Wing gives tours of their home on weekends. For me, the bathroom was the best room - it's situated in one of the turrets and looks every bit like I'd imagine a bathroom would in a castle. But instead of a chamber pot, there's an actual toilet. Guess there are some modern amenities that are too wonderful to pass up.